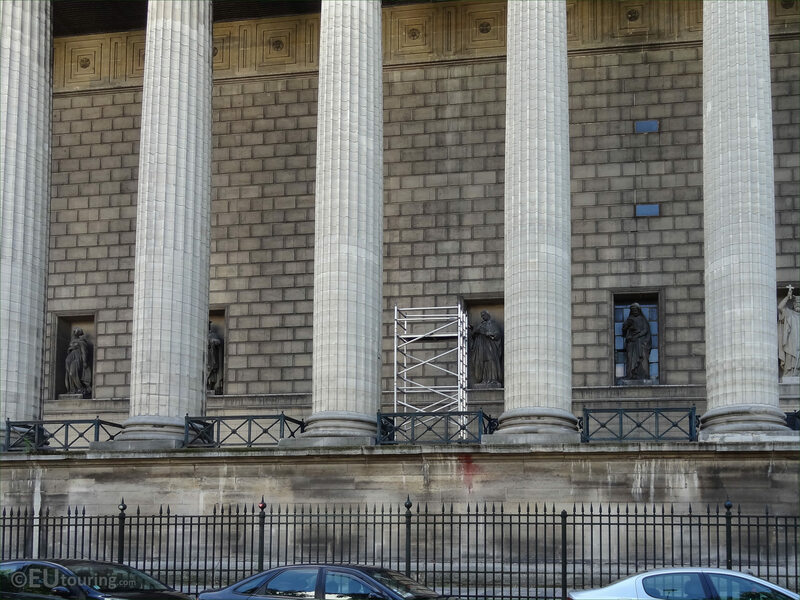 We were in the 8th Arrondissement of Paris at the Eglise de la Madeleine, when we took these high definition statues depicting Saint Charles de Borromee, which was sculpted by Francois Jouffroy. 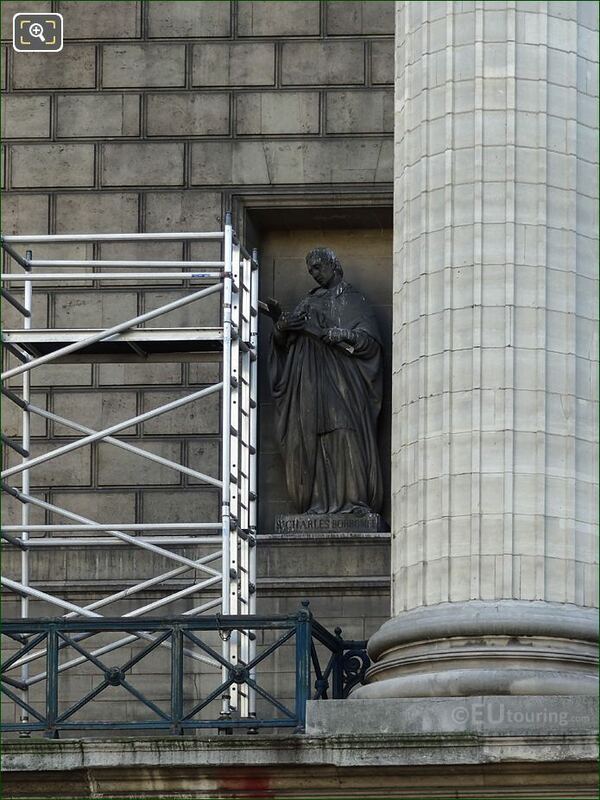 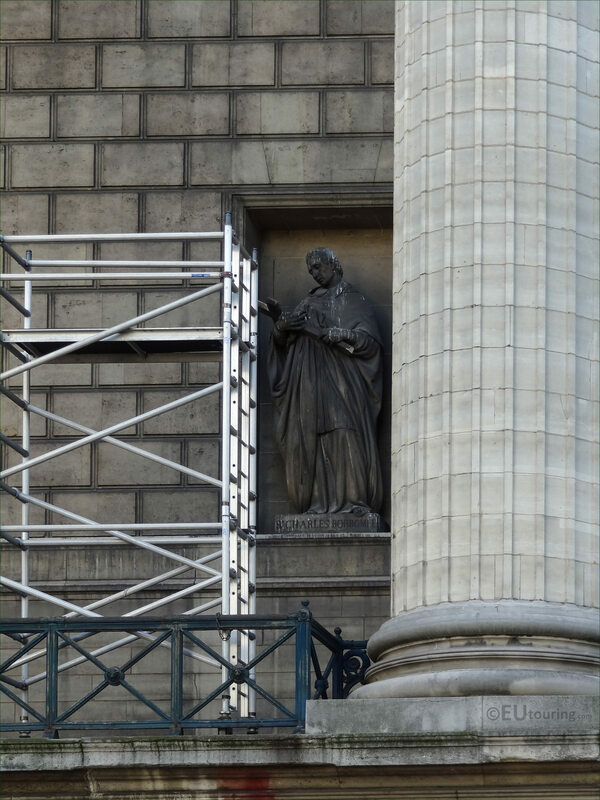 This first HD photo shows one of the statues of Saints that are positioned within niches on the Eglise de la Madeleine that were sculpted between the years of 1837 and 1841, with this particular one depicting Saint Charles de Borromee, also referred to as Saint Charles Borromeo. 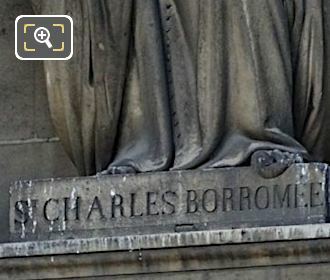 Here you can see a close up showing the name plaque at the base of the statue on the pedestal, with this one being Saint Charles de Borromee who was born in 1538, becoming a Cardinal and the Archbishop of Milan between the years 1564 and 1584 where he was a leading figure for the reforms of the Catholic church. 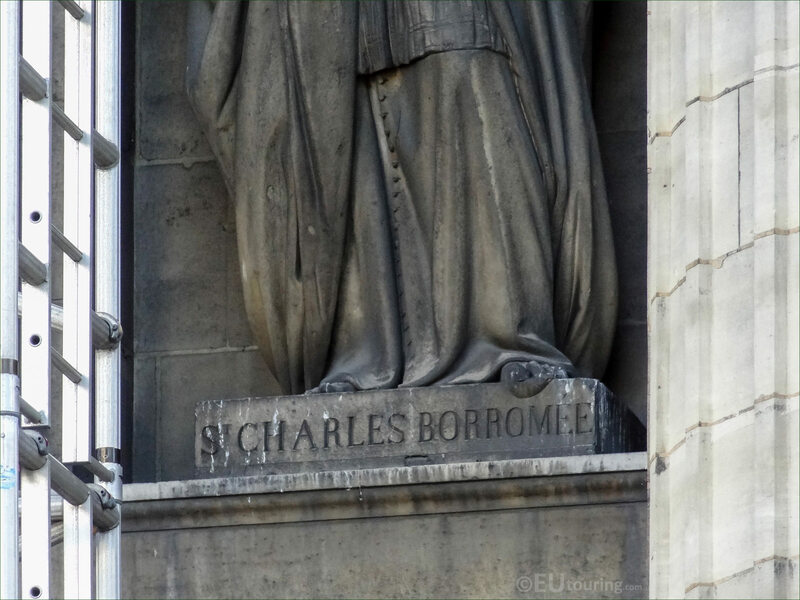 And even though Charles Borromeo had much opposition for his reforms, following him passing away through ill health at a young age of 46, people started to celebrate his anniversary and in 1602 Pope Paul V beatified him, then in 1610 he was canonised as a Saint, with his feast day being the day of his death on 4th November, and throughout Europe Charles Borromeo has been venerated as a Saint of Learning and the Arts. 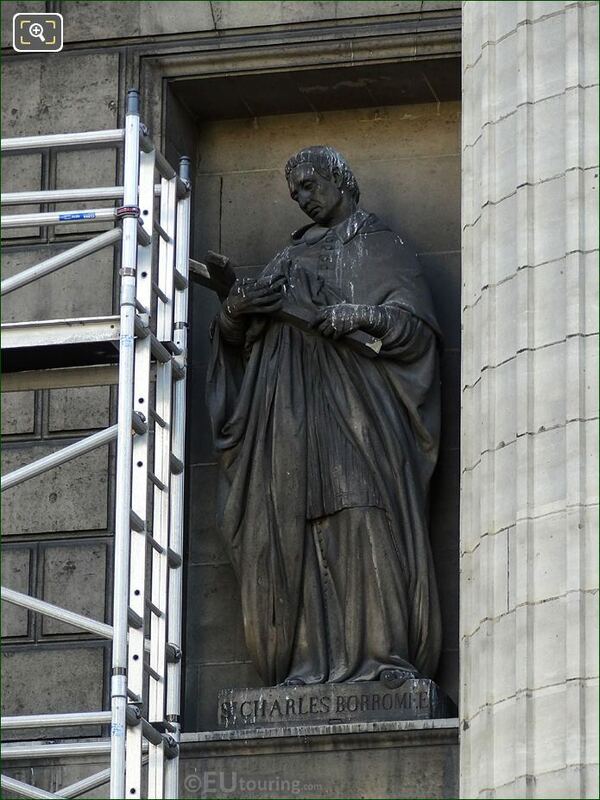 You will find that this particular statue of Saint Charles de Borromee was produced by Francois Jouffroy who was born in Dijon in 1806, yet studied at the Ecole des Beaux Arts in Paris, winning the Prix de Rome in 1832, which led to him receiving numerous public commissions for tourist attractions around the city. In fact Francois Jouffroy worked on several different churches including the Eglise de la Madeleine, along with statues and sculptures for many other famous places such as The Louvre, Chateau de Veresailles, Les Invalides and the Palais de Justice to name a few, having a prolific career throughout the Second Empire, even though he also taught sculpture as well. 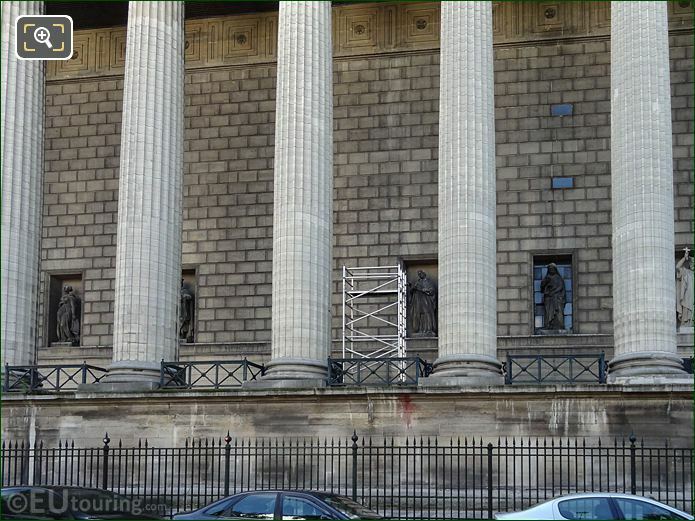 But here you can see the location of the Saint Charles de Brromee statue positioned within a niche on the outer wall of the portico with its corinthian style columns, which was initially the idea of the architect Jacques-Marle Huve, and with a total of 34 Saints depicted, this one is the fourth from the right hand side on the north western facade.